Description: Setting up a multi-byte environment for SalesLogix is a fairly simple process, but there are some items to take into consideration for a sound deployment on a global basis. Setting up a multi-byte environment for SalesLogix is a fairly simple process, but there are some items to take into consideration for a sound deployment on a global basis. First, lets set up the environment to allow multi-byte languages. Note: server must be restarted to enable the change. Step 2: On the host database insure the collation on the host should be SQL_Latin1_General_CP1_CI_AS. By default, this is collation of the databases shipped on the SalesLogix CD - they will retain that configuration when attached to a SQL server. Step 4: Remote Client configuration - when SLX creates a remote user database, a collation type is not explicitly set. As mentioned above, if the host database was attached off of a SLX CD the collation on the host should already be SQL_Latin1_General_CP1_CI_AS. When cutting a remote you must use a SQL instance using this as the default collation type, allowing the remote and the host to have the same collation type. To specify which server you cut against you can use the middle option in the top right radio group of the Create Database Options dialog. 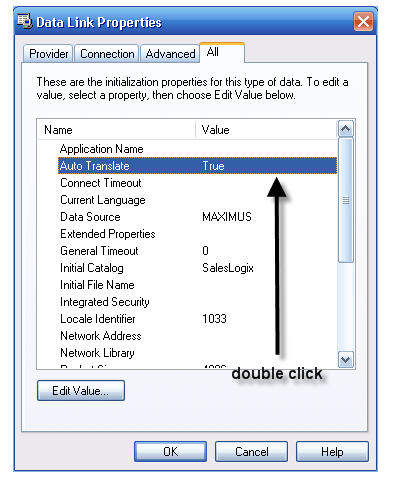 Instances of MSDE installed by versions of SalesLogix prior to v7.0 do NOT force this collation type. 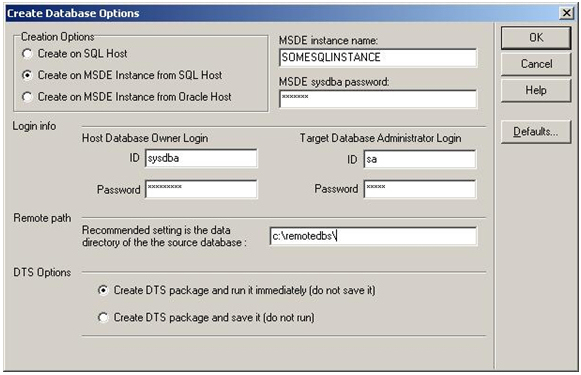 Starting with v7.0 all MSDE instances installed by SalesLogix DO force this collation type. Step 5: Sync Server - If the sync server is installed on a machine whose operating system does not by default support multi-byte characters (i.e. English), then the regional and language options must be set as above (for LAN client) to provide multi-byte language support. SalesLogix.mld - this is the dictionary file, and contains the translated strings appropriate for the language being localized to. 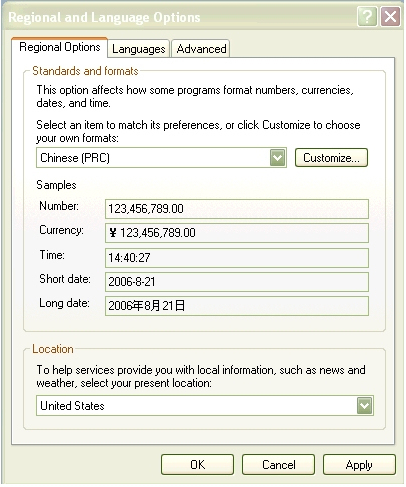 SalesLogixINTL.ini - a text file listing the SLX applications to be translated at runtime. SLXTranslator.dll - contains supporting code for localization functions. There is no install for these files - they can be simply copied to the client machines as required. Connection Manager must be set to disable the Auto Translate property, as described above. On the LAN client the regional settings (both Regional Options and Advanced, as illustrated above) must be set to the language to be used; in our example above, Greek. File | Generate Dictionary - dictionary can be saved with any name (ending in .mld extension) but must be renamed to SalesLogix.mld for use with the client. 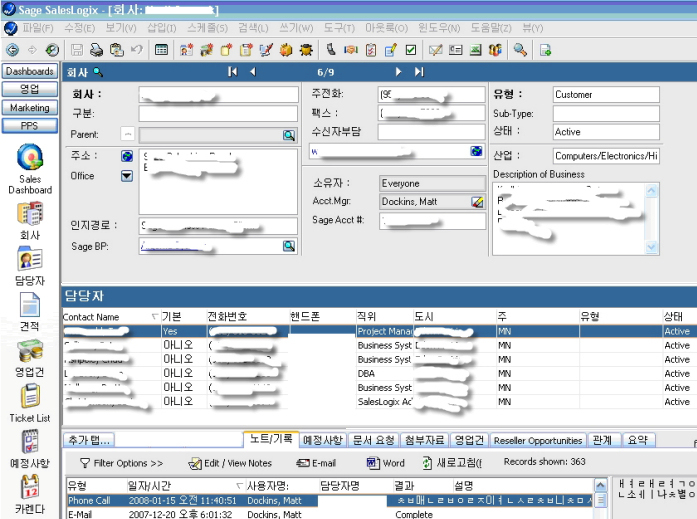 On LAN client, two of the four localization files must be copied into the \SalesLogix folder. As listed above, the files are SalesLogix.mld and SalesLogixINTL.ini. The resize file (SLXIntForms.slx) and translator dll are not required in this case, as you are not actually translating the client. If the client still doesn’t display characters as desired, the machine may need to be rebooted. * Much of the excerpt above comes from a document titled “Setting up a multibyte SLX Environment” authored by bdonison. The Same Record utilizing the Chinese Code Page (the Korean characters appear to have been translated character by character – in other words, what might have been entered as “The Quick Brown Fox Jumped Over the Lazy Dog” in Korean might say “OIYDO:HOXDCJNUWHUHW(PIUP” in Chinese. A concern is that this translated character might contain profanity or slander or some other miscommunication. * Note, double byte characters consume twice the space of single byte characters – this means that a field with a length of 10 characters will only hold 5 multibyte characters. * Note, since you can only have one active code page per machine that SalesLogix can access, for citrix and terminal server deployments it could mean that one citrix or terminal server may be necessary per localized multi-byte language. Matt Dockins is the president of Premier Programming Services, LLC. With 8 years of experience working in SalesLogix from version 5.7 through 7.5. Matt has developed a number of customizations and external applications for SalesLogix and has been responsible for the design and implementation of a large number of high ROI projects (one of which acheived an 1193% ROI in just 2 years). Premier Programming Services is a Sage Development Partner, Microsoft ISV, and VineyardSoft KnowledgeSync Partner. Great documentation! Very helpful for our SLX implementation in Japan! One question: do you have any experience with a Japanese mld? We have one implemented, but SLX (6.2.6) adds not only shortcuts at the end of menu items (which is OK), but also right in the middle of the item (which doesn't look well because it's a latin letter within the Japanese phrase. This is probably a Windows setting, but I don't have a clue where to change it. On the remote machines we have Japanese Windows XP installed. Any comment would be appreciated. Best regards from the Black Forest/Germany. Matt , where will i get slxlocal.exe? 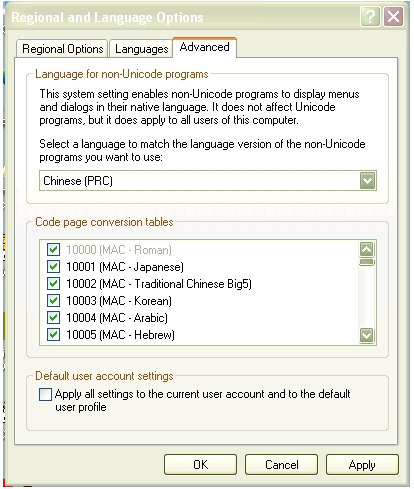 You can download slxlocal.exe as part of the localization toolkit, which is available from the Sage SalesLogix FTP site.